One of the most important facts that Omar Farhad wanted to point out in this short novel is the cultural distance between United States and Afghanistan. He is working on a new novel called “Emotional Justifications” and it’s about new immigrants arriving from many corners of the world. “Impressive debut novel, without a doubt” or “Riveting, gripping and definitely thought provoking” are some reviews from famous writers who recommend your first novel. Did you expect this great welcome from readers on your literary debut? It is pleasure speaking with you Alberto. So far, I have received many warm welcomes from fellow writers and readers. I consider myself a droplet in the sea of great writers. Nevertheless, I was not expecting great comments from veteran writers. You are receiving many nice reviews since you debuted, do you usually read them? If yes, which is your favorite? Yes, I read each review on many websites such as goodreads and Amazon.com passionately. I also read in to it for advice, constructive criticism, and guidance from my readers and writers. To answer the second part of your question; each review bring out different emotions in my readers and it makes me happy that I was able to touch different readers on a different level. Each review is teaching me a new path in writing and therefore, I like each one for a different reason. 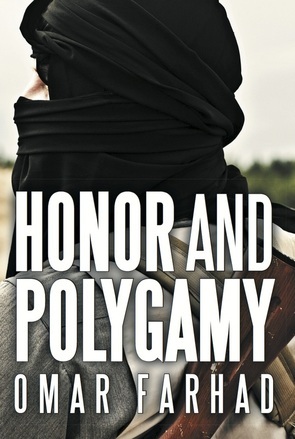 What lead to write Honor and Polygamy? I used to work in Afghanistan as a contractor for a little over two years. My interaction with Afghans and the coalition forces and the lack of progress in Afghanistan of the past 14 years forced me to point out missed opportunities and predict the future of this long conflict. Can you describe your novel as entertaining and educational? It is both. I could have written a boring political commentary that no one wanted to read. Instead, I came up with this interesting plot to point out the distance between the West and Afghanistan that is at least 500 hundred years behind from the rest of the civilized world. What does the word ‘honor’ mean to you, as appearing in the title of your book? The word Honor to me means to keep your promise on many aspects of life within context of certain culture. The typical belief in the West is to send a “democracy pill” to many regions of the world and think it would change people overnight. Most westerners believe this big misconception without considering the importance of thousand-year-old cultures to people of the region. Resistance to forced-fed democracy does not mean to brand people of other regions uncivilized; rather, it is resistance to “one size fit all”. Nick Blake, the main character, is living in New York City and working for the United Nations. His whole life is turned topsy-turvy when, while on a diplomatic mission to Afghanistan, he is kidnapped and finds himself in the clutches of the Taliban. What inspired the creation of this character? I wanted a typical American introduced to not so typical surroundings. What I am trying to tell my readers here is plowing through a country was easy, but the lack of understanding of its people will lead to many catastrophic mistakes as we are witnessing in Afghanistan, Iraq, Syria, Egypt and the list could go on. 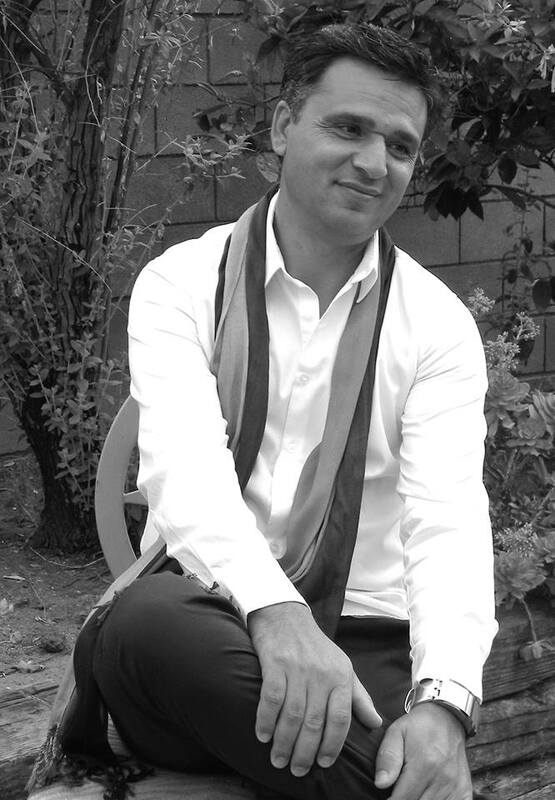 Being an Afghan-American author, do you bring to the table experiences from both ways of life? I am very familiar with both cultures. I was 15 years old when I left Afghanistan and I have been living in the United States since 1987. Nick is forced to marry the sixteen-year-old Shaista, as his second wife, and he later finds himself falling in love with her. Why did you want to speak about Polygamy? Was it as a social critique? No, not a social critique. I wanted to compare the American involvement in Afghanistan to a polygamy or a marriage that was poorly planned and the kind of marriage that is understandable by westerners very well. Honor and Polygamy is far from simply a fiction story, will readers find issues from both the political and cultural sides of both countries? And on the situation between United States and Afghanistan? One of the most important facts that I wanted to point out in this short novel is the cultural distance between the two countries. The gap between the two cultures is the main factor for the failure that we are witnessing now. Do you hope to change the misconceptions Westerners have about the Middle East with your book? My advices to the westerners “please stop sending democracy pills to the Middle East. The side effects are far more damaging and democracy cannot be implemented in countries with thousand year old cultures over a short period of time”. If one asked an American, what does democracy mean to you? There typical answer is “freedom”! Well, did you one morning woke up and found yourself free? Or the country went through fighting the British for independence, slavery, civil war, and on, and on. If democracy took 300 years to be achieved, how do you expect the rest of the world to achieve democracy over night?! The story of Nick Blake represents the reality of the Afghan culture and the results and disappointments of the political realities in Afghanistan. 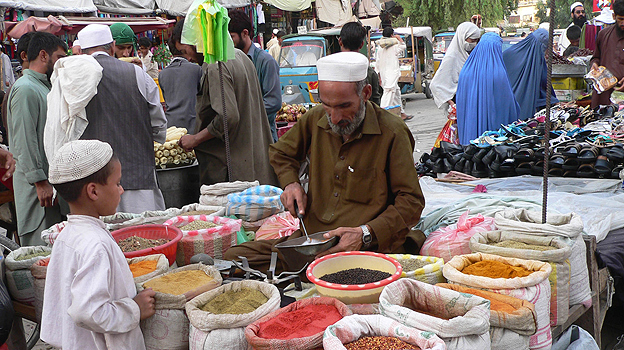 How has the lives of the millions of Afghans be like for the past 30 years? Afghanistan was a political game between the Russia and United states in the past (the cold war). Millions of Afghans were killed, displaced, and still live in fear. Now, that reality has taken a different path and the interested parties and their interests have changed. The website ‘Africa is a Country’ wrote an article about “The Dangers of a Single Book Cover”, and ‘Arab Literature’ blog also recently spoke about the continued use of veils on Arabic book covers. Do you think that it is a subliminal way of selling a stereotype? 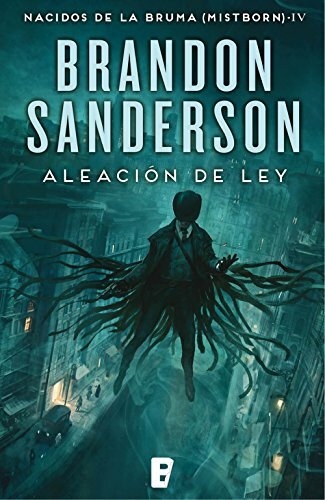 Can book covers change or add value to a story? It does not add value when the contents of the book are weak, bias, and the so called “experts” express their ignorance of covering one side of the story. Selling stereotype is not a new phenomenon. It makes a powerful statement when stereotypes are marketed to the readers who compere their understanding to that of the world that they have very little knowledge of. Are you writing a new novel? If yes, can you tell us anything about it? Currently I am working on two different books. One is called “Emotional Justifications” (A Novel) and the second one is my own memoir. The first book is about new immigrants arriving from many corners of the world. Their perception of the West is prosperity but in the process, the new immigrants reject the “melting pot” of the West, which leads, to unfavorable outcomes and total destruction of entire families. To close the interview we ask about your reading hobby. Do you remember any author whose work or reading had specially marked? It is embarrassing to admit that I before writing Honor and Polygamy never read a single novel! Therefore, it is difficult for me to tell you who are my favorite writers. One day in 2011, I opened my computer and wrote a novel. Publicado el septiembre 30, 2014 en Afganistán (أفغانستان), América, Asia, Entrevistas, escritores, Estados Unidos, Inicio y etiquetado en Afghanistan, America, book, Honor and Polygamy, new immigrants, New York City, novel, Omar Farhad, United Nations, أفغانستان. Guarda el enlace permanente. 5 comentarios.